Roger Federer played a 2 day match that consisted of 4 sets. As such, my schedule was thrown into the wind and so this post will be haphazard and might not make much sense. 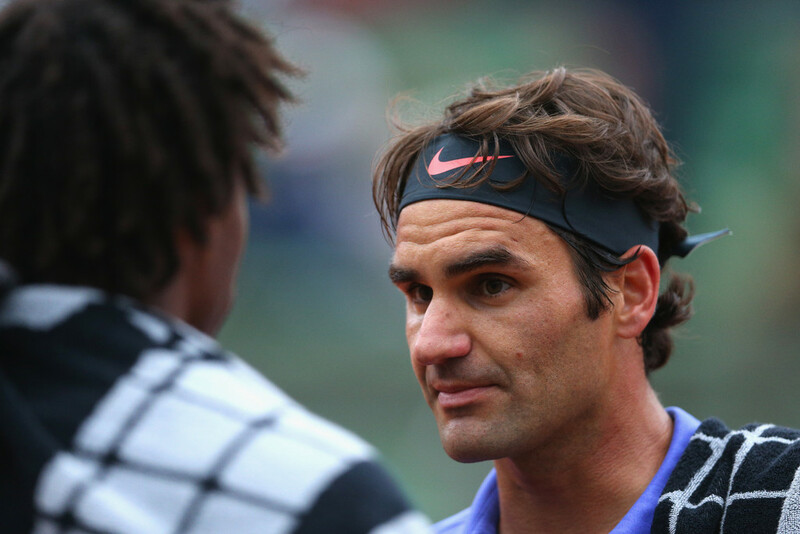 The Maestro faced off against Gael Monfils in R4 at Roland Garros. That whole day was impacted by rain and as such the match started over 4 hours late. It needn’t have gone to a second day though. Roger started the first set very well and extremely quickly. He clearly knew the importance of finishing the match in one day. Set 1 was done without problems. But Gael stepped it up in set 2 and Roger played badly at crucial stages. He got broken in one bad service game, and then broke back as Gael was about to serve for the set. But then inexplicably he missed an easy volley that led to Roger not being able to consolidate his break and Gael won the set anyway. Roger was really the better player that night except for those few moments. So what should have been a 2 sets to love lead and possibly finishing the match that night in straight sets, turned out to be a 1-set all situation. Clearly now the match would need at least 4 sets to end and with the rain imminent, and darkness falling, the referee called it a night. And yes, Roland Garros has no lights or roofs, yet more reasons why it should be ashamed to call itself a Grand Slam in this day and age. The next day Roger took to the court looking focused and sharp. He played a great first, no wait, third set. Gael tried to hang with him but Roger was always just a little bit better in everything; serving, shot selection and hitting winners. Roger was now 2 sets to 1 up. He needed one more. When he broke Gael to open the 4th set, Gael was mentally done. Roger went through the set like a hot knife through butter and all Gael could do was win one game in that set. 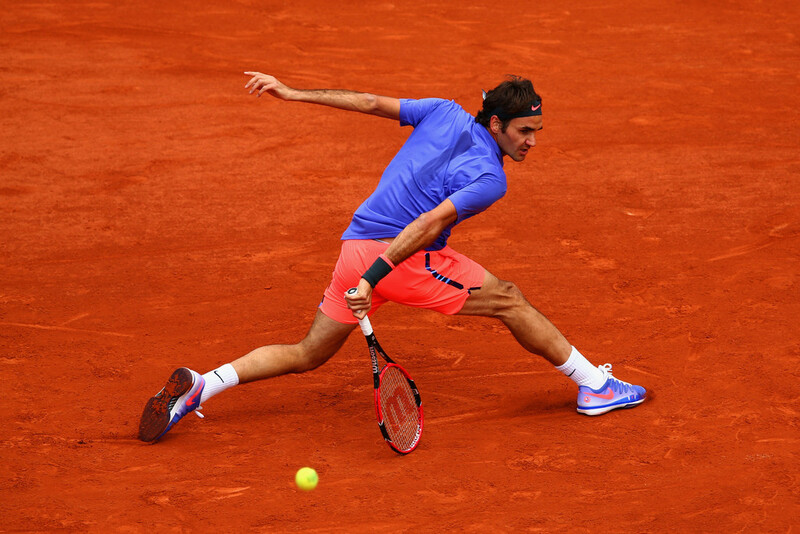 And with that win Roger has reached his 11th French Open QF, which is a record of course. More on that below. For his QF today, he will have to face Stan Wawrinka. Unlike Roger, Stan was done with his R4 match in one day. He had all of yesterday to relax, practice and recover. He will come in fresh and ready for battle. Clay is a surface Stan excels on and Roger’s two defeats to Stan have come on clay. Roger is the only quarter-finalist who has not had a day off in between the QF and R4 matches. He also happens to be the oldest quarter-finalist as well, in case anyone is interested in that bit of trivia. Now while I dislike the match-up with Gael, the match-up with Stan is no better. I have discussed my feelings about this in previous match posts so I won’t elaborate here. Roger said that even if he does not win, he would still be very happy since it will mean Stan will be in the SF. This is where Roger and I differ. I would be happy if Roger reached the SF. And Stan reaching the SF instead will not be the balm that will soothe my soul. No substitutions. I am definitely not looking forward to this angst filled match. But in the meantime, I am fine with celebrating the milestones Roger has reached with this win. Roger has now reached a total of 44 Grand Slam QFs. The closest to him is Connors with 41. The closest active player is Djokovic with 32. Roger has now reached his 11th French Open QF. The closest to him is Rafa with 10. Roger has now won his 65th match at Roland Garros second only to Rafa. Roger has now won 285 Grand Slam matches. The closest to him is Connors with 231. The closest active player is Rafa with 195. Roger has now played 1,257 career matches and this was his 1,025th career match win. The QF will be at 3:30pm local time on Lenglen. The forecast says cloudy, no rain but it might be very windy which will of course make a mess of things. Hang in there Roger, you can do this! C’mon Maestro! VIDEO Federer testing a new #tennis racquet? Ze Zhang and Roger Federer?? Doubles in China?